Use these free, printable grammar worksheets to learn the fundamental grammar skills. Grammar is a key concept that helps students with important skills in reading and writing. Use games to make learning grammar skills enjoyable; for example, use Mad Libs to teach parts of speech. Use mentor texts to model grammar skills you are targeting; consider using books, newspaper articles, advertisements, letters, and music lyrics; use real-life examples to make grammar lessons authentic. Teach grammar recursively; don’t assume that after one lesson, students have mastered a skill; revisit previously taught grammar skills and provide students with opportunities for independent practice. Use anchor charts and post student work to make learning about grammar visible. There are many grammar skills students learn, depending on their age; skills can be practiced in writing and orally. Parts of speech include nouns, pronouns, verbs, adverbs, adjectives, prepositions, conjunctions, and interjections. Sentence structure includes learning about subjects and verbs and using them to form complete thoughts; help students understand what run-on sentences and sentence fragments are. Teach clauses and phrases to deepen students’ understanding of sentence structure. Teach singular and plural nouns and pronouns. Support students with writing and speaking in past, present, and future tense and to distinguish between active and passive voice. What is an abstract noun of loyal? 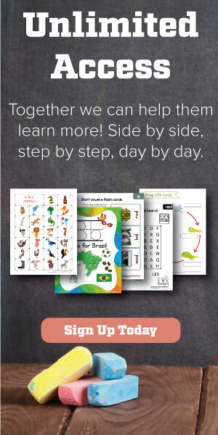 Get your students find out and practice the fundamental grammar skills. What is an abstract noun of a friend? It is friendship! What does friendship mean to your third-grader? Can your third-grader provide examples of the abstract noun? Here is one for her grammar practice. Teaching abstract nouns in a third grade? 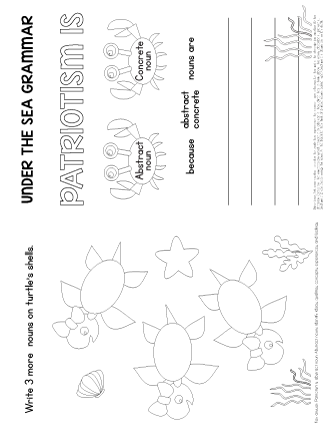 Practice abstract noun of a patriot with lots of fun activities. 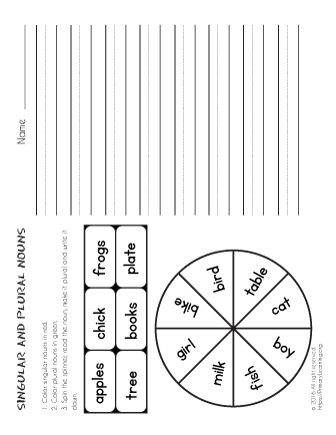 With this worksheet, students will learn to identify the abstract nouns and have lots of fun practice. Looking for practice abstract nouns in third grade? Here is a question: what is an abstract noun of honest? With this worksheet, third-grade students will learn everything about joy and practice grammar. Looking for abstract nouns exercises for your third-grader? With this worksheet, she gets lots of practice. Is faith a concrete or an abstract noun? Let your third-graders find out and finish this amazing worksheet! Teaching abstract nouns in third grade?Here your students will learn everything about kindness. What is an abstract noun of brave? Let's find out and work on this worksheet to build a strong grammar! With this abstract nouns worksheet, 3rd-grade students practice the fundamental grammar skills. Charity is an example of an abstract noun that third-graders will practice with this grammar worksheet. What is an abstract noun of a child? Right, it is childhood. Let's print it out and practice abstract nouns! Practice nouns! Your child will color all singular nouns in red and all plural nouns in green.